Climbing Everest, or even just plodding around at the base of it, earns backpackers certain bragging rights. Despite this, it isn’t the best trek in the Himalayas. In fact, it doesn’t even come close. The scenery is certainly stunning, and you get the experience of travelling in the historic footsteps of Edmund Hillary and other famous climbers, but you also get the very real experience of following in the footsteps of the climbers that trod the same trail half an hour ago. This isn’t necessarily bad, but if you are looking for a remote mountain adventure there are many better treks to choose from, so here are five less-travelled trails that are much, much better than Everest. Scaling 4,700 metres over the course of the trek, the Langtang Region Trail will take you past secluded Buddhist monasteries and the sacred Gosainkunda lakes. Residing in the Langtang National Park, the area is also a nature reserve which is renowned for the opportunity it gives visitors to observe Nepal’s wildlife in its natural habitat. If you are lucky you will see Himalayan black bears, Himalayan tahrs, rhesus monkeys, red pandas and there have even reports of Yeti sightings. Starting in the capital of Kathmandu makes this this trek the easy option for those looking for immediacy. The Annapurna Circuit is one of the best treks in the entire world, and as a result is only marginally less crowded than the Everest trek. This does however mean that it is littered with small mountain lodges where you can hunker down for the night with some other friendly travellers, rather than camping out in the wild, and tackling the region out of peak time means that you have it mostly to yourself anyway. The walk consists of a long, slow climb which helps backpackers to acclimatise as they go, with countless beautiful passes and well preserved Nepalese villages to explore. The construction of a large road threatens to ruin this amazing trek, so if you want to tackle this route before it is lost forever, now is the time to go. 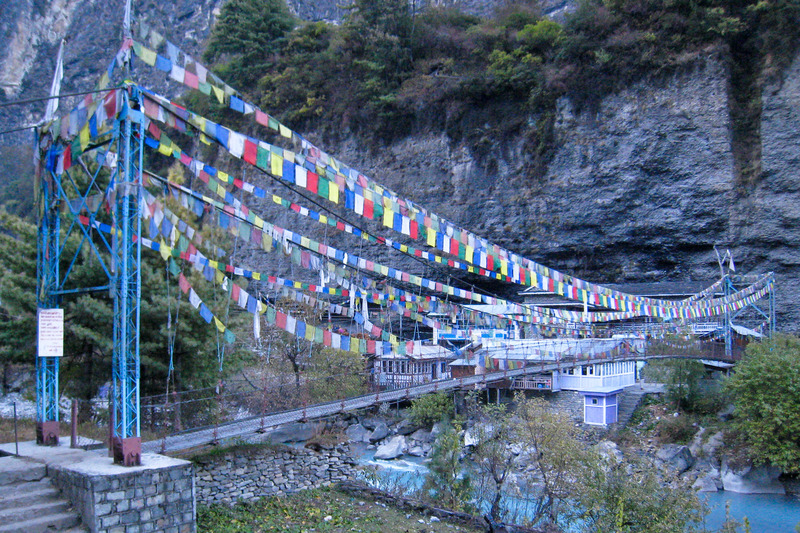 Base camp at Annapurna Sanctuary holds a sobering monument in its grounds – the memorial to Anatoli Boukreev, one of the world’s great mountaineers who was killed here in an avalanche in 1997. To walk in the footsteps of one of mountaineering’s finest is a humbling and moving experience with which to mark your adventure. 40km directly North of Pokhara, the stunning glacial basin was undisturbed until 1956 when the only entrance – a narrow pass between the peaks of Hiunchuli and Machapuchare – was discovered amongst the ring of Annapurna peaks surrounding it. the Sanctuary only gets seven hours of sunlight a day even at the height of summer thanks to the towering mountain tops that surround it. Mt. Kangchenjunga Circuit may be just the thing you’re seeking if you want a quiet trek away from the other tourists where you can spend a lot more time with native folk and immerse yourself in the experience. Set aside 20 days for this much less-travelled trek which reaches 8,586 metres and take it slow, enjoying simple meals made up of traditional daal, rice, chapati and vegetable curry. Share a cup of tea with Nepalese rather than a beer with a fellow backpacker at the end of the day and make an early morning rise to take in the pre-dawn awe of the Himalayas and the world’s 3rd tallest peak in one of the globe’s most remote areas. Possible Nepal’s best kept trekking secret,Rara Lake and its surroundings are Nepal’s smallest and least visited protected area – in fact more species of birds nested there in 2010 (236) than people visited (170). Rara is an adventurer’s dream with its wealth of natural beauty, sparse population and lack of trekker presence thanks to a lack of interest from other foreigners. Situated in the country’s far west, the lake acts as a crossroads for the Great Himalayan Trail’s upper and lower routes where you can decide to continue on or take routes to Humla or Dolpa. You will need to arrange camping and supplies yourself as well as practice caution as the area is rampant with potentially dangerous wildlife including black bears and jackals.